All Souls’ Day is celebrated on 2nd November and is a Christian celebration of those who have died. When I posted last week about Diwali I suggested there is value in observing festivals and traditions of different cultures and religions with children as it is a way of opening them to the multi-cultural world. It can also be an oportunity to build links within families and to introduce ‘big’ ideas that otherwise might not get spoken about. We’re going to take inspiration from All Souls’ Day tomorrow and take a little time to talk about our ancestors. I have gathered some photographs of their gandparents and great-grandparents to show the girls and prompt us to chat about them. 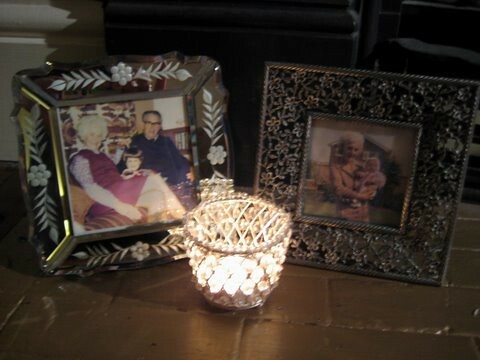 Although we have photos up in the house all year round, All Souls’ Day seems a good opportunity to pause and remember our family with a little more purpose. Do you remember your ancestors with your children? How do you pass on a link from members of your family who have died to your children? I’d love to hear how you observe this in your family.